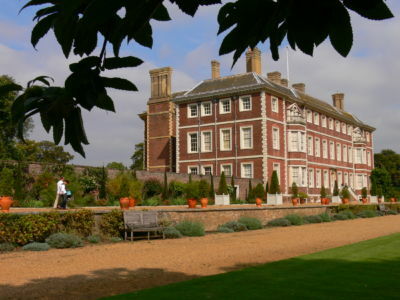 Pre-1900: Ham house was built in 1610 in the then popular Jacobean style. Ham House it is noted for its best surviving example of Stuart domestic architecture in Britain. The House remained in the Dysart family from 1624 to 1948 and still contains many of the original furnishing from the 17th century. 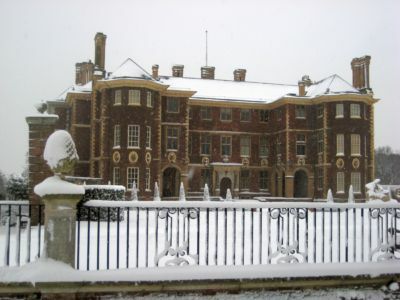 Sir William John Manners Tollemache Lionel 9th Earl of Dysart was the last Earl to live at Ham House. Born at Ham in 1859 where he spent much of his childhood with his mother and two sisters. 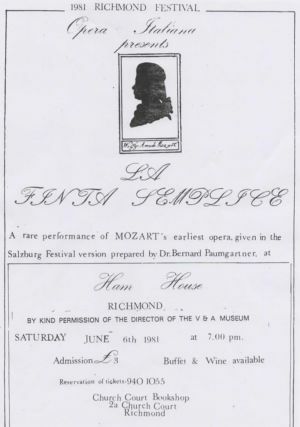 He was born with poor eyesight and had an eccentric and cantankerous nature not helped by his deafness in later years which caused much embarrassment for many of his guests. His popularity in the village appears to be mixed not helped by the fact that the locals felt he denied them their rights to use Common ground. 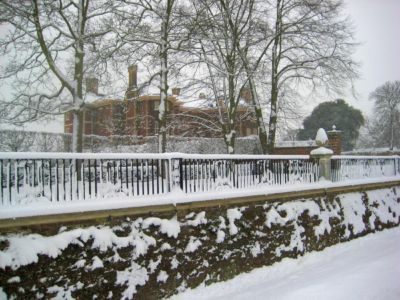 In 1878 Sir William inherited Ham House and title from his Grandfather 8th Earl of Dysart in 1878 but did not become Lord of the Manor and take full control of the Estate at this time. His grandfather had created a Board of Trustees to oversee the Manor which was to run for 21years after his death. 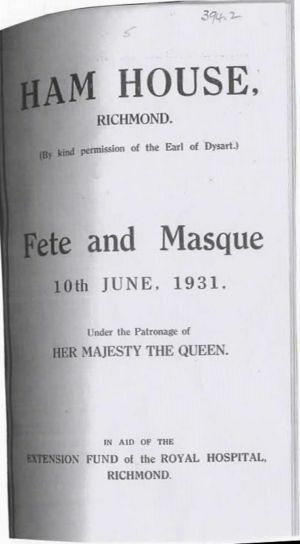 On his 40th birthday in 1899 the 9th Earl of Dysart became Lord of the Manor of Ham & Petersham taking over from the Trustees in accordance with his Grandfather’s Will. 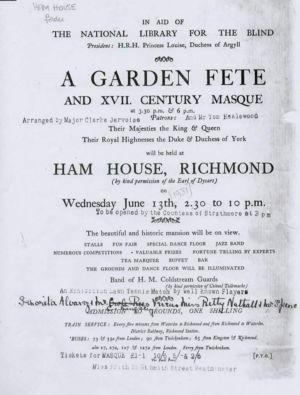 1900s: Life in Ham House: The Earl and his wife Florence Newton entertained well and Ham House was once more the setting for social activities both private and for the local community to enjoy. End of August –to end of January. 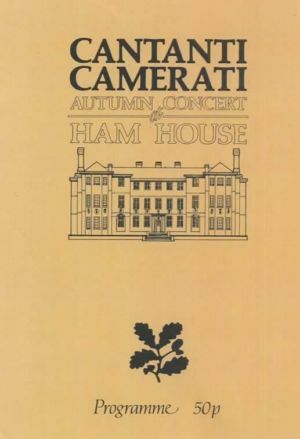 Ham House was packed up and the Earl and staff moved up to Buckminster Park in Leicestershire where there were shooting parties every weekend. 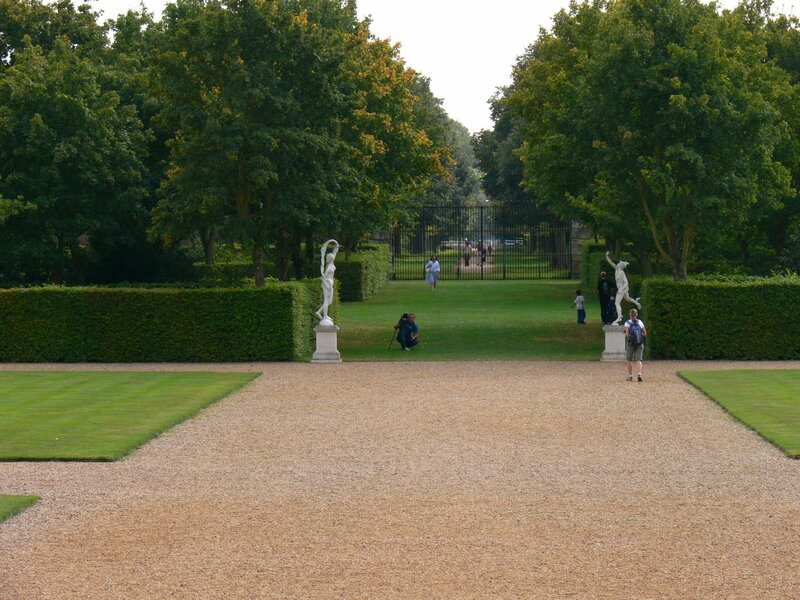 The steward, housekeeper and two housemaids remained at Ham House on board wages to look after the house. In the house the Earl, with permission from the Trustees, installed electricity, and central heating and running water – such luxury unknown to most in the village at this time. He also installed a bath with multiple jets and a mechanism to make waves (it can still be seen in the House). He restored much of his ancestors’ furniture and supplemented it with typical ‘Victorian furnishing and clutter’. 1900: Earl of Dysart offered to pay one third of the new organ for the new Chancel in St Andrew’s Church and lent a Vocalion* organ for use until the new organ had been installed. 1901: The Metropolitan Common Supplemental Act established A Board of Conservators to manage Ham Common. 1902: The Dysart Estate under the Trusteeship covered 70% of the area. 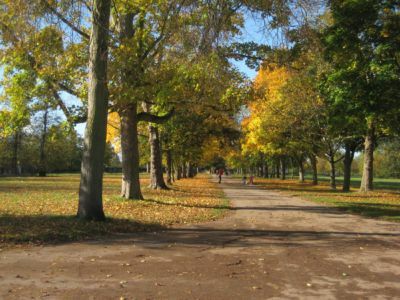 1902: Richmond, Petersham and Ham Open Spaces Act gained Royal Assent, the first Environmental Act of Parliament to ensure common ground was not used for housing. 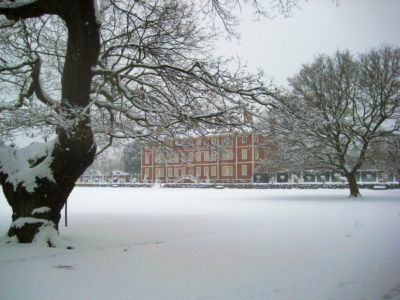 The Dysarts agreed to give up Petersham Meadow and Petersham Common to the Richmond Corporation, for use as designated Open Space for public use. 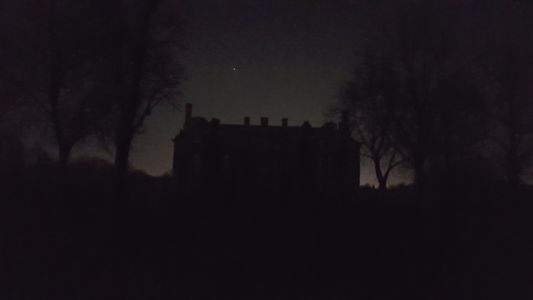 The Act transferred the Dysart’s residential manorial interests in Ham Common and vested them in Ham Urban District Council. Part of this inclusive settlement with the Dysart Trustees extinguished the remaining Lammas Rights* thereby liberating the 176 acres of agricultural land for development. The Dysarts gave £3000 to be invested for the upkeep of the Common and any residual money to go to Alms houses or other local charitable purposes. *Lammas Rights – public grazing for part of the year on private estates to prevent it being enclosed or developed. 1904: Large area of the local 348 acre Manor Farm was leased by the Dysarts to the Ham River Grit Company to extract sand and gravel for the growing construction industry. 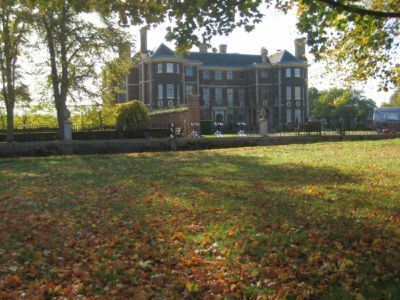 The Dysart’s holdings in the adjacent former Manor of Canbury were extensively developed for housing as Kingston expanded northwards. 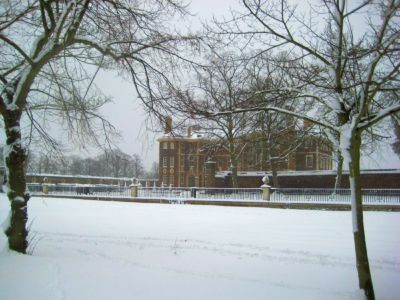 Early 1900s: (date unknown): The Earl’s wife left Ham House and went to live in London and did not return to live with her husband again in Ham House. They had no children. The Earl’s niece, Mrs Hack and her two daughters, Louisa and Laura came to live at Ham House to act as hostesses when he entertained. Another family member, Mr Harry Tollemache, came as a companion. 1913-21: Gravel Pits: A dock was constructed in 1913 followed by a Lock in 1921 to assist with transporting the gravel from the pits. A narrow-gauge railway also linked the gravel pits to the main road. 1918: Aircraft Factory: Towards the end of the World War 1 the Dysarts sold some land south of Ham Common to the Ministry of Munitions for construction of aircraft factory on land adjoining Upper Ham Road. It was leased first to Sopwith Aviation Company and then to Leyland Motors, adding to the demand for local housing. 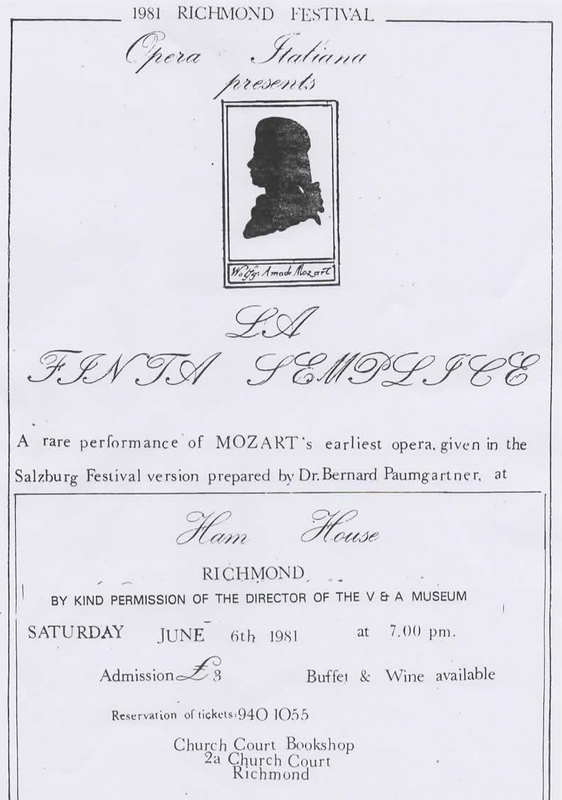 1920s -1930s: Ham House was still the venue for parties and entertaining. Up to twenty staff were employed at the House and a chauffeur for the Earl’s Rolls Royce and three other cars. Extra staff were employed from the village or hired from London to assist with parties, balls and major events. His staff also included thirteen gardeners, a cowman and a watchman. 1929: Manor Farm which was 430 acres in 1891, was reduced to 200 acres by 1918 and then to 70 acres by 1929. 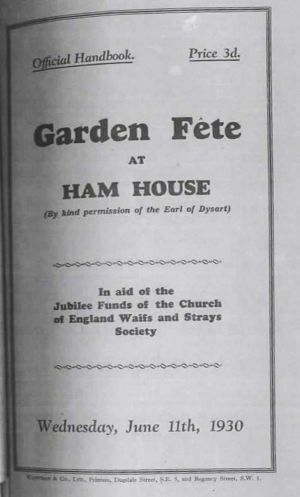 1934: Dysart began negotiations with GT Crouch Ltd for the sale of the whole of Church Farm on the far side of Petersham and Kingston Road, for the building of the huge Tudor Estate and the Ham Parade shops. 1934: Miss Mary Tollemache, daughter of the late 8th Earl of Dysart, died at Ham Lodge. She was the Trustee of the Tollemache Almshouses which she had built in memory of her late husband the 8th Earl. She was also involved in the welfare of Ham village. 1935: 9th Earl of Dysart died without heir aged 76. The Scottish peerage devolved upon his niece Wenefryde de Scott and his British Baronetcy was inherited by his second cousin Sir Lyonel Tollemache, 4th Baronet to whom Dysart also bequeathed Ham House. The 9th Earl of Dysart left £4,800,000 invested of which the Chancellor of the Exchequer took 60%. 1935: Sir Lyonel Tollemache, 81yrs old, moved into Ham House with his unmarried son Cecil. The House and contents fell into disrepair, most of the house was closed up and the two men lived simply in the upstairs rooms. 1939-1945: Sir Lyonel deposited the Dysart papers and deeds in a safe deposit in Chancery Lane for safe keeping during possible airstrikes over the aircraft factory in Ham and Petersham. Unfortunately, the safe deposit in Chancery Lane was blitzed and subsequently flooded by firefighting hoses. By the time the Dysart papers were removed they were considerably decomposed. All the deeds of the Ham and Petersham properties were lost. 1943: The National Trust was invited to view Ham House and Gardens to discuss its future. 1946: The house contents and furniture that had been packed away during the war had now been placed back in their original positions in the house. 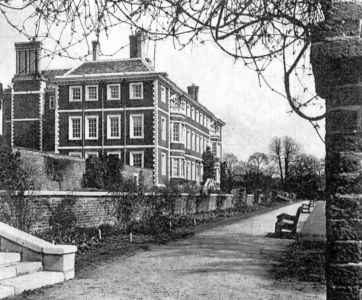 1948: Ham House and grounds were presented to the National Trust by Sir Lyonal Tollemache, Bart, and his son, Mr Cecil Tollemache. 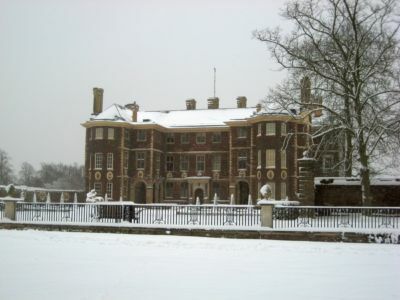 The two men moved out of Ham House and into Langham House on Ham Common which belonged to the family. The contents of the House were sold to the Government for £90,000 which entrusted them, and temporary custody of the House, to the Victoria & Albert Museum. The gardens were cared for by The Royal Parks. The stables were not included and were sold to a private buyer. 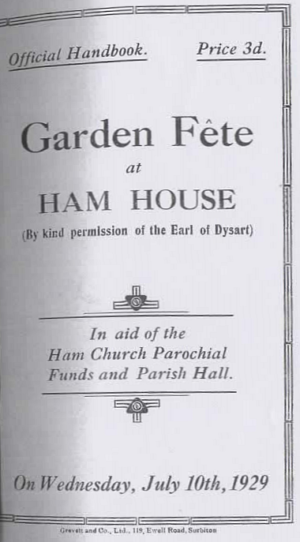 1949: The Dysart family sold approximately 390 acres of the remaining Ham Estate by auction. The Lots included forty one residences many of which were period houses of historical interest, one farm, two modern licensed premises, 4 shops, a rifle range, gravel and sand works, ninety nine cottages, sundry allotments, a parcel of freehold ground rents and a number of plots suitable for building. 1949: Valuable historical documents were found in the drawer of the library desk at Ham House including a draft of the articles of a Treaty drawn up at the command of James 1 of England to unite the country with Scotland, probably the King’s own copy that had been lost for 300 years. It contained sixty three seals and autographs of which forty had never been recorded, even in the British Museum. 1950s -1960s: Ham housing estates built. 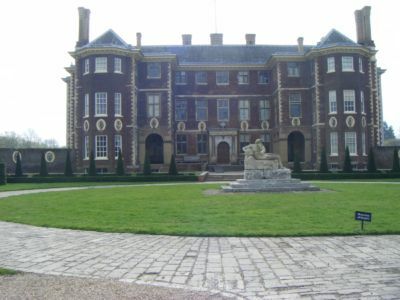 1950: Ham House was opened to the public as a museum by the Victoria & Albert Museum. 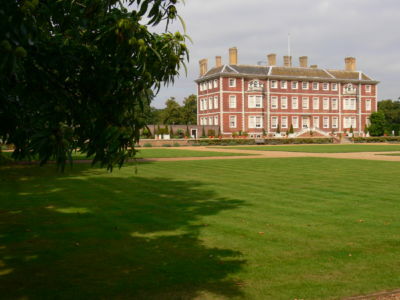 A telephone was installed in Ham House for the first time, telephone number 1950. 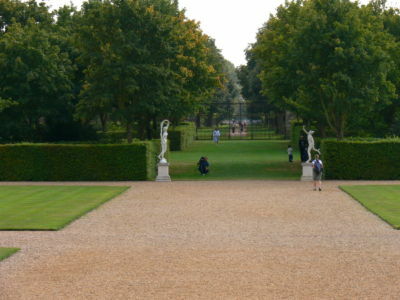 The stables at Ham House became Grade 11 listed and ownership of The Avenue and Petersham Copse were conveyed to the Borough of Richmond by the Dysart Estate. 1951: Richmond Council decide to fell all 307 trees in the Avenue despite objections from locals who say only those diseased should be felled. 1952: Walnut Tree Meadow and three tree lined avenues round the House sold to the Council by the Dysarts. These now became public spaces. Three acres of the meadow were later released as allotments for renting by the villages. 1952: Last of the gravel pits were filled in and some of the area used for housing. 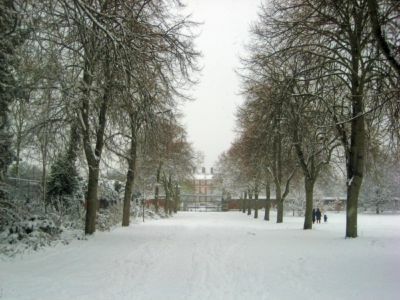 Local resistance to further development led to the area being designated Metropolitan Open Land preserving Ham Riverside Lands as a nature reserve. 1952: Sir Lionel Tollemache, Britain’s oldest Baronet died age 99 years at Langham House. 1953: Many of the elm trees in the Avenue were in poor and dangerous condition and were felled. They were replaced by lime trees. 1953: Ham House Stable Block – Planning permission was given to convert the accommodation above into two dwellings making it one of the most unusual houses in Britain. Many of the original features were retained. 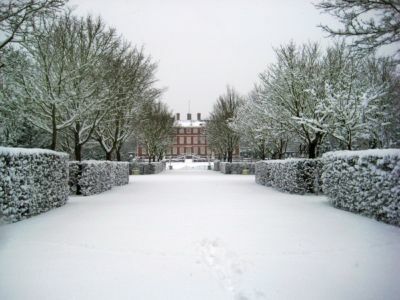 1954: Ham House orchard which had been leased from the Estate was cleared of fruit trees for the local Polo Club. 1955: Cecil Lionel Tollemache sold Langham House and moved away from Ham. Dysarts and Tollemache dynasty finally leave Ham & Petersham after more than 300 years in the area leaving only the family names to be found in St Peter’s Church, on the Almshouses in Ham Street, the former Gate House on Ham Parade, on War Memorials in both villages and several road names. 1960-1970: Dutch elm disease destroyed the remaining elm trees in the Avenue. 1965: Fire at Ham House – work was being carried out in the basement to renew the electricity circuit when a nearby junction box exploded. Seven fire appliances attended and the fire was extinguished before it reached the upper house. 1970: V&A began to redecorate some of the House interior to reflect the 17th century interior and many textiles were reproduced. The Gardens were still maintained as they had been in 1948. 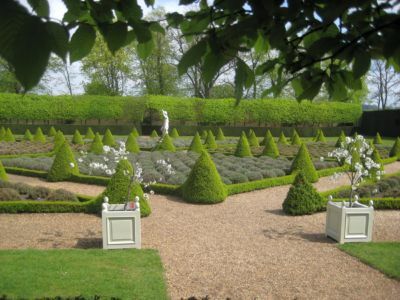 1975: European Architectural Heritage Year – The National Trust started a full restoration of the Gardens back to the original 17th century style. 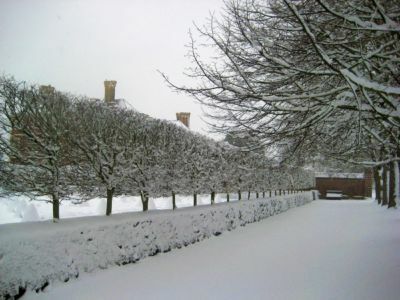 1976: Stanley Smith Trust donated £11,000 and there was a further anonymous donation of £5,000 to help with the funding of the restoration of the garden. Local people objected to the felling of trees and shrubs necessary to do this. 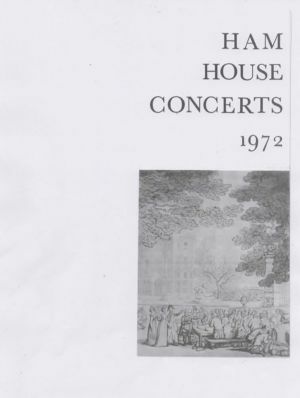 1982: Due to Government cuts The National Trust asked to take back Ham House. They agree but ask for a £3 million endowment for its upkeep. Volunteers first used to help the Museum and curatorial staff. 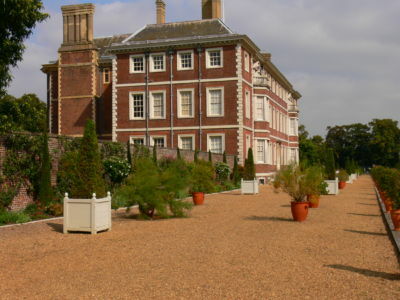 1990: The National Trust took back full control of Ham House and Garden and a full restoration programme began to take the interior back to the 17th century when the House was at the height of fashion. 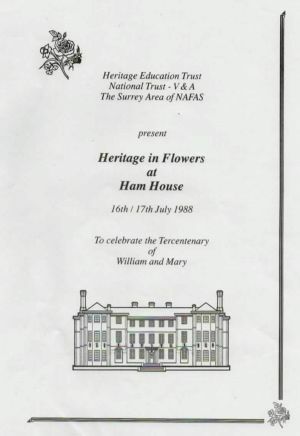 1991: In June thieves stole around £50,000 worth of family heirlooms from Ham House in broad daylight. 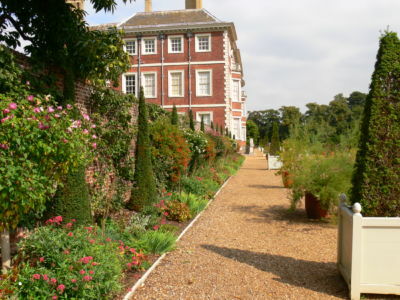 In August Ham House closed for £1 million ‘environmental improvements’. New security equipment was installed which is now camouflaged in keeping with the period decoration. 1994: National Trust Ham House and Gardens re-open to the public and is now one of the most visited National Trust properties.